Ichabod is hanging with Caroline, a woman from the local reenactment group. She's brought him a whole array of specially made gifts but poor Ichabod becomes flustered upon realising that she has a romantic interest in him. Ichabod tells her he is married and Caroline mistakes Abbie for his wife when she comes in. Katrina works a spot of magic and writes a letter, which she sends away to be delivered via crow. Abraham comes in to check on her and he becomes suspicious that she might have been practicing magic, but promises that when she is his queen, she will want for nothing. But he wants her to make the choice to be his willingly, though he adds that he won't wait forever. Abraham calls Henry to say that he needs to double-check the spells that are to suppress her magic and will perform a binding if need be. Henry decides to get a bit of magic going by using a book that once belonged to Katrina. Two teenagers are making out in a car but stop when they hear the sound of someone crying. They then drive off scared when a dark, mysterious entity crashed into the front windshield. Ichabod has Abbie drive him to Caroline's so he can apologise properly and in person. Caroline appreciates the gesture and agrees to be friends. After Ichabod leaves, Caroline finds a woman all in black crying in what appears to be underwater, despite the fact that it is Caroline's living room. The next morning, Caroline's dead body is found by the river and Ichabod is distraught to have lost one of his few friends. Abbie says that she would have died immediately after they left her place but there's not trace of her body got into the water. Abbie uses some tracks found near the scene to track down the teenage couple that had witnessed Caroline's assailant. They believe it was the Weeping Lady, a local legend that goes back to Colonial Days. She was jilted by a lover and then drowned before becoming a murderous spirit. Ichabod receives Katrina's letter and it's all sap but no substance. Abbie runs into Hawley at the library and he apologises for how things went down with the Pied Piper and the flute so he offers to help her and Ichabod next time they need him, free of charge. Hawley heads off and Abbie spots the Weeping Lady, drawing nearer with her weapon drawn. The Weeping Lady attacks and pulls Abbie underwater. Ichabod screams out for Abbie. Abbie briefly surfaces and sees the river around her but Ichabod is able to reach down and pull her back out into the library. Hawley comes back and gives Abbie CPR, which saves Abbie's life. Ichabod determines from the piece of lace Abbie tore from the Weeping Lady's shawl that the Weeping Lady is a woman he once knew, Mary Wells. 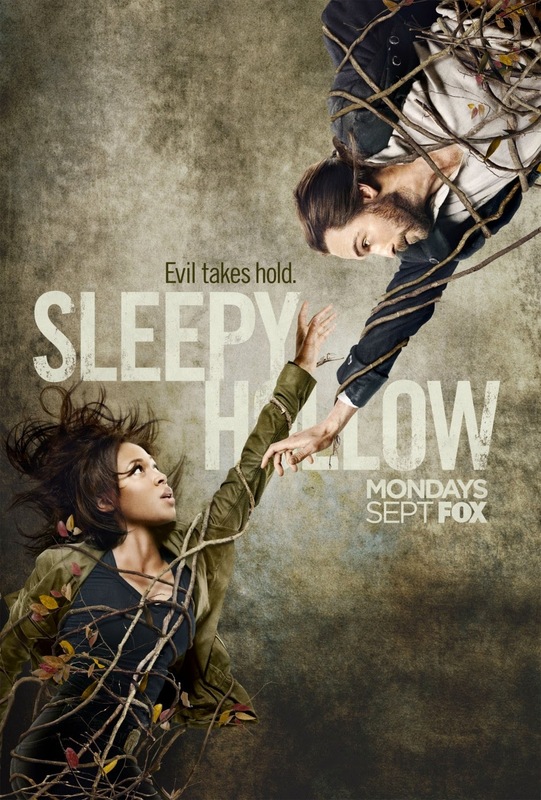 Mary had come to Sleepy Hollow to bring Ichabod home and believed them to be close to engaged. Ichabod told Mary he only felt for her a love like that of siblings, and Mary became jealous and emotional, believing Katrina to be the one responsible for Ichabod's apparent change of heart, despite her being engaged to Abraham. Ichabod tells Abbie that he received a letter the next day that said she planned to leave for England but Abbie thinks it likely that she never left Sleepy Hollow at all. Abbie notes that the Weeping Lady had always been a benign spirit but now she has become angry, attacking the women close to Ichabod. Ichabod then finds that Katrina's letter is missing and it's shown to have fallen in the water, where the Weeping Lady begins to read it. Abbie brings Ichabod along to employ the help of Hawley against the Weeping Lady. He offers up a crossbow with a special bolt filled with basilisk venom. This should be a more effective weapon when they next fight off the Weeping Lady. Meanwhile, Katrina is attacked by the Weeping Lady in her captive home. Ichabod is alarmed to find the Horseman leaving, as it means Katrina is unguarded. He runs inside and finds a black pool of water and the letter Katrina sent floating at the top. Katrina performs an ounce of magic that allows her to get free from the Weeping Lady's clutches an run into the woods where Ichabod and Abbie find her. Katrina says she can perform dark magic that will release Mary's spirit but needs Abbie's help to recite the incantation. Ichabod meets Mary but angers her by scolding her for being angry and jealous. He shoots her but she extinguishes it and runs right no through him. Katrina and Abbie complete the incantation right as Mary is about to reach them, causing her to collapse on the ground. Ichabod cradles her in his arms, as he tells the others that Mary will not harm him. He asks about the letter and why she is still here. Mary points at Katrina. Ichabod asks Katrina what Mary meant and Katrina tries to act as if Mary was just crazy but Ichabod demands answers. Katrina is forced to admit that Mary wrote her a letter to insist on meeting privately, where she demanded that Katrina stay away from Ichabod. Mary grew angry and fell to her death, hitting her head on the way down. Katrina performed a spell to forge Mary's handwriting and compose the letter Ichabod received. Ichabod berates Katrina for yet another lie in the already long list of things she has kept from him. Headless shows up and Abbie tackles Ichabod to keep him from getting axed. Katrina tells Abraham that it was an angry spirit that stole her from his home and implores him to spare Ichabod, who has just saved her life. She then voluntarily goes home with Abraham. Hawley returns to his boat where Jenny is waiting for him. She propositions him, something that isn't new to them, but he turns her down, believing they should keep their relationship professional. But it's Jenny, who gets the last word in, as she does just enough to rile Hawley up and then leave him frustrated and coffee-less. Ichabod and Abbie attend Caroline's funeral. Ichabod blames himself for Caroline's death and notes how it's their loved ones that are most in danger. Abbie says that they'll already be in danger if they don't fulfil their duties as Witnesses and defeat Moloch. He also says he doesn't see how a union could survive without trust, referring to his deteriorating relationship with Katrina. Abraham tells Katrina that he had no part in the summoning of Mary and that he only went to the river because he feared for Katrina's safety. He tells her he isn't happy to see her unhappy and she thanks him. Henry is scolded by Moloch, who says that Katrina must be kept alive, as she is a chosen vessel and one of the Hellfire Shards. He tells Henry that he is a soldier and a soldier's duty is just to obey.